Is there any quality common in the world's greatest chess masters, any peculiarity which made them contestants upon that particular parti-coloured board and on no other? Is there, in other words, a chess-mind? Since 1851 there have been seven acknowledged World's Champions at chess, from a variety of nations, each replacing, in direct contest, a predecessor, and each exhibiting capacities for chess-play far and away transcending those of the common herd. What led these champions to the vocation of chess? What were the financial rewards, if any? What satisfactions attended transitory fame and what griefs were there at the inevitable eventual downfall? 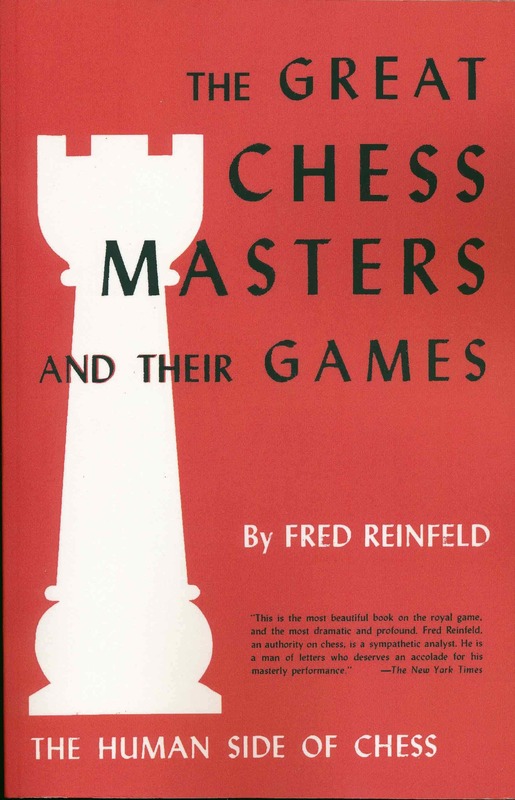 Fred Reinfeld, himself a player of master strength, is a sympathetic analyst of the idiosyncrasies of the seven most famous giants of the game so far: Anderssen the Romantic, Morphy the Gentleman, Steinitz the Lawgiver, Lasker the Philosopher, Capablanca the Machine, Alekhine the Fighter, and the one still-living ex-champion,Euwe the Logician. Mr. Reinfeld is not afraid to illustrate his remarks with specific games and specific comments,and his very acute study challenges various preconceived notions-but the author also describes the character, psychology and mentality of each champion,and his reaction to his rivals.